If you enjoyed films like, Wall Street: Money Never Sleeps, The Big Short and The Wolf of Wall Street, then Icarus Films and France’s Distrib Films have one for you on June 5 that you are absolutely going to love. This would be none other than writer/director Christophe Barratier’s The Outsider. World markets crashed in 2008 and the Société Générale’s “rogue trading” scandal involving Jérôme Kerviel quickly became a footnote. What’s a loss of €4.9 billion euros to one bank when the entire world is coming unglued! Barratier’s The Outsider details Jérôme Kerviel’s (played by Albert Dupontel — Bus Palladium, Adventures of Arsene Lupin, Normandie Nue, etc.) rise and fall in equity derivatives, swaps, index futures — all that stuff from The Big Short — that begin in 2006 and culminated in a January of 2008 announcement by the bank that one of their employees was involved in “unauthorized” trading and had been arrested. 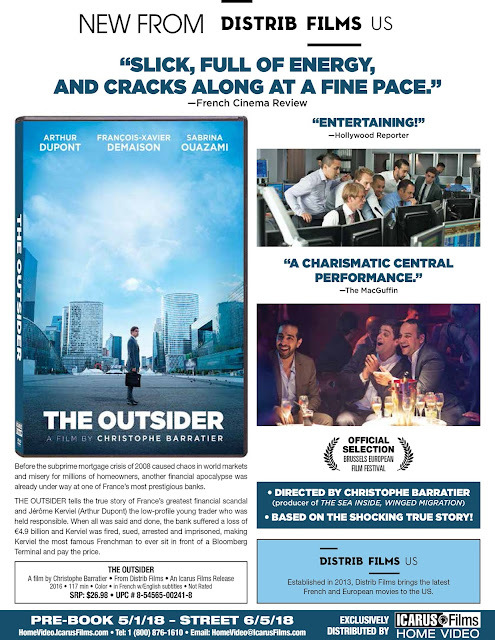 You can decide for yourself on June 5 when DVD editions of France’s The Outsider are released domestically. 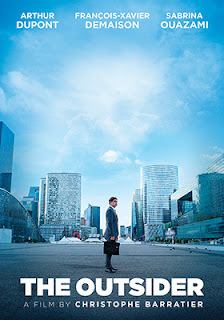 The film is presented in French with English subtitles. In other release news from Icarus Films and Distrib Films, look to May 15 for the DVD debut of writer/director and star, Bruno Podalydès’ whimsical comedy, The Sweet Escape. Michel (Bruno Podalydès) is having something of a mid-life crisis and decides that the French equivalent of an Australian Aborigine walkabout. You know, a little wanderlust … perhaps a trek to Timbuktu and back. It will be an adventure to shake things up in his life; to change his humdrum existence … that sort of thing. Unbeknownst to his flat mate, Rachelle (Sandrine Kiberlain — Mademoiselle Chambon, Alias Betty, etc. ), Michel has ordered a kayak, which he assembles on the roof of their apartment building (on the outskirts of Paris) and has ordered all sorts of survivalist gear — enough gear for, perhaps, a kayak trip from the head waters of the Amazon to the sea. It’s a great set up that Podalydès delivers — think along the lines of Peter Sellers and his Clouseau character — he has gone to all of this planning, only to prove that while his intensions are in the right place, he is, nevertheless, totally inept. When the big day comes for Michel’s adventure, it is not a trip to the airport and a flight to the some forgotten corner of the world, but to the nearby river. And, much to the amusement of Rachelle, Michel quickly discovers that much of his gear is totally worthless for his needs — his kayak survival suit would be better served as something you’d wrap a lobster in to cook it slowly! So off he goes and within an hour or so — perhaps a journey of three or four miles — he comes across an idyllic setting that could be right out of Philippe de Broca’s 1966 film, The King of Hearts. A lovely women, Laetitia (Agnes Jaoui) — who runs a nearby restaurant — her daughter, Mila (Vimala Pons), and their “King of Hearts” friends. The voyage for Michel is done, but the adventure is only beginning!!! 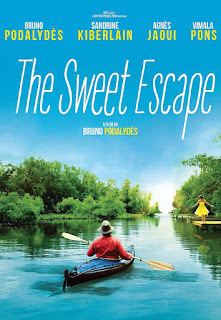 The Sweet Escape is presented in French with English subtitles.